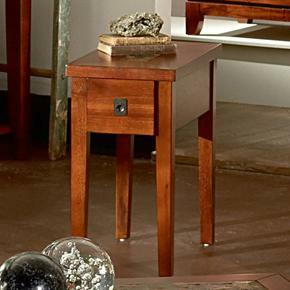 With its checkerboard basswood top and iron base, this square end table exudes industrial style. 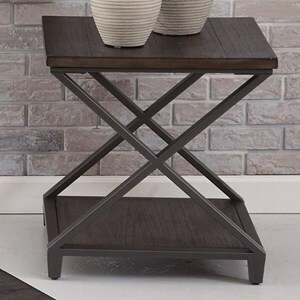 The wood top is finished in a Rustic Honey color that highlights the wood's natural tones, while the Antiqued Ebony metal finish creates an authentically-aged industrial look. 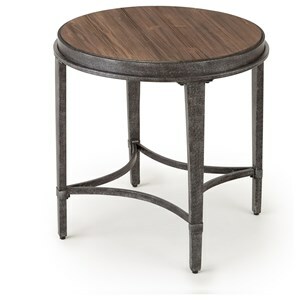 The Ambrose Industrial Square End Table with Iron Base by Steve Silver at VanDrie Home Furnishings in the Cadillac, Traverse City, Big Rapids, Houghton Lake and Northern Michigan area. Product availability may vary. Contact us for the most current availability on this product. 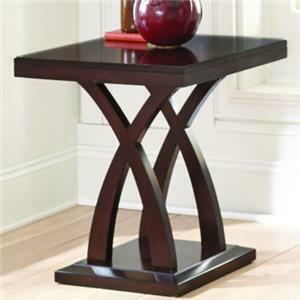 Wood & Finish Rustic Honey wood finish and Antiqued Ebony metal finish. Case Detail Shaped h-stretchers, nailhead detailing. Case Construction Basswood solids and veneers, iron. 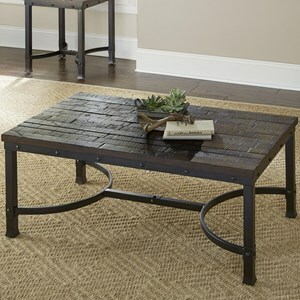 Bring an authentic aged industrial feel to your living room with the Ambrose collection of living room tables. 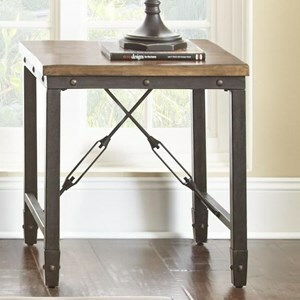 Iron bases with nailhead rivets and shaped h-stretchers in an Antiqued Ebony finish give tables a vintage industrial look, while planked tops made from basswood and finished in a Rustic Honey color bring a sense of rustic, one-of-a-kind character. 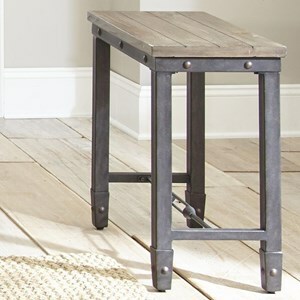 Including a cocktail table and end table, this set of tables helps you capture the charm, warmth, and history of rustic industrial style. 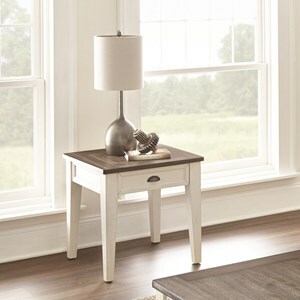 The Ambrose collection is a great option if you are looking for Rustic Industrial furniture in the Cadillac, Traverse City, Big Rapids, Houghton Lake and Northern Michigan area. 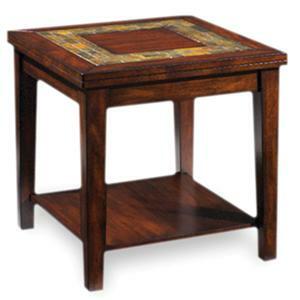 Browse other items in the Ambrose collection from VanDrie Home Furnishings in the Cadillac, Traverse City, Big Rapids, Houghton Lake and Northern Michigan area.